Thomas Edison presented an incandescent lamp demonstration in 1879. The bulb lasted 13.5 hours and used electricity he had generated. 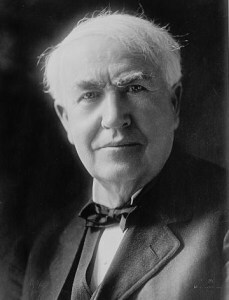 Phonograph was invented in 1877 by Thomas Edison. The first phonograph certainly differs from today’s music options. Children could view a timeline of audio recordings at: Timeline. They could draw the different stages of development and then predict what the next stage will be. Incandescent light bulb was patented by Thomas Edison in 1880. The patent number is 223898. Idea: In a drawing a light bulb above someone’s head indicates the person has developed a new idea. Children could draw light bulbs. They could surround the light bulbs with ideas of their own for new inventions. They could see his patent at: Light Bulb Patent. 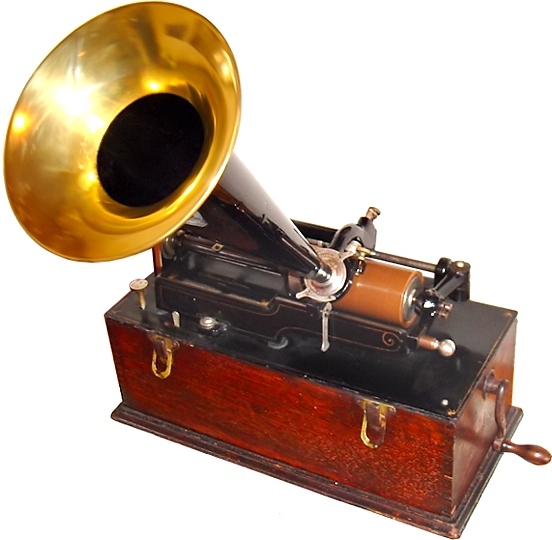 Gramophone, later called the phonograph, was patented by Thomas Edison in 1878. Older children could learn more about the history of sound recording at: Gramophone.